Orange tips on airsoft guns somehow defeat the gun’s original purpose. 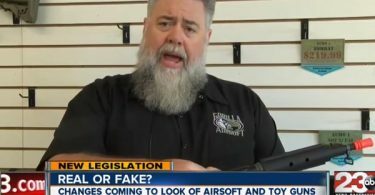 Airsoft guns are made to look like their real, right? Then why the orange tip? It exposes that fact that the gun is a fake even it looks very similar to the real thing. Without the orange tip on your gun, you can easily blend with the environment, which is what you would want if you are engaged in a field match. Unfortunately, it seems that the law requires orange tips to be part of airsoft guns before they can be bought. However, an online forum claims that there is no law prohibiting you from removing it. Therefore, it is safe to assume that you can remove it without going afoul with the law. In this context, we are giving you some tips on how the orange tip can be removed from your airsoft gun. 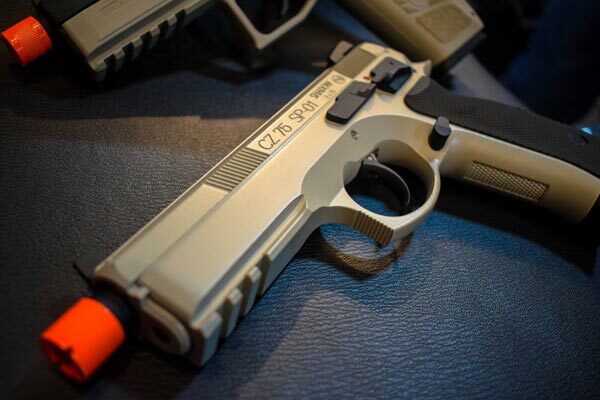 Forum Facepunch offers several tips on how you can remove your airsoft gun’s orange tip. This website says that there are three types of orange tips found on airsoft guns. There are plastic orange flash hiders, some are metal orange flash hiders while some of the guns are painted with orange color. If the gun has an orange flash hider made of plastic or metal, you only need to unscrew the orange tip and then attach a black one. But if the glue is used to attach the tip to the metal, you can remove it in different ways. One way is to use a plier and just pry away the orange tip using your brute strength. This could leave some bits of plastic and glue on the surface. Therefore you need to clean them out from the thread because you won’t be able to attach a new tip if there are some bits of foreign objects on the thread surfaces. If your airsoft rifle or pistol has a flash hider that is painted with orange color, the paint can be removed with a polish remover. But before getting the paint out, be sure to remove the magazine, the barrel, the slide and the recoil spring inside the gun. Get some paper towel and apply the polish remover and then rub it on the orange paint. Be sure that the paint in some small crevices of the gun is also taken out. Repeat rubbing the polish remover until the tip of the gun is free of the orange paint. This may take approximately 10 minutes. Step by Step offers several ways on how you can remove the orange tips from airsoft guns. One way is to use Goo Gone, a non-corrosive fluid paint remover. However, it is only effective if the orange tip has a black-colored base. This method may take some amount of time. Remove the flash hider from the gun and set it aside. Get some paper towels or Q-tips and soak them with Goo Gone. Scrub the orange tip with the soaked paper towel. The orange tip must be soaked with the Goo Gone before you can start removing its orange color. 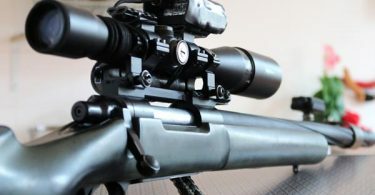 If the Goo Gone is not effective, you may need to spray paint the orange tip with black similar to the color and texture of the airsoft gun. Remove the flash hider and place it upright against a vertical support which can be a cardboard piece or a small piece of wooden block. Spray short bursts of paint on the flash hider until the orange color is covered with the new black color. You may need to do it in three coats to fully cover the orange color of the flash hider. Dry for about one hour before touching it. If completely dried, re-attach the flash hider to the airsoft gun. If the flash hider can’t be removed from the gun, you have to do it right where it’s at. Cover the barrel of the gun by masking tape starting at the edge of the orange tip down to the trigger section of the gun. Fill up the inner portion of the barrel with the paper so that the sprayed color won’t reach the inner parts of the gun. Start spraying the new black color on the flash hider but see to it that the color is sprayed thinly. If the sprayed color is thick, it might run into the barrel of the gun. A very easy way of removing the orange color of the tip is just by covering it with a black electrical tape. Just wrap the tape all around the flash hider and you’re done. But since it is only made of tape, the new color may peel out and may not last as long as the other options. If removing the flash hider from the airsoft gun is proving to be too difficult, Reddit recommends that you use a Dremel. Here is what a forum contributor says how this should be done. Place an elastic band between the screwdriver and the screw head connected to the flash hider. This should increase the grip for loosening the screw of the flash hider. Create a cut in the screw head by using the Dremel, then put a flat screwdriver in the cut. Hammer it out until the flash hider falls off. Answers Yahoo.com also has some idea on how you can remove the orange tip of your airsoft gun by using a Dremel. The idea is to paint over the orange color of the tip. You will use the Dremel with a tip that will enable you to remove the layer of orange color on the flash hider. Once the orange color is removed, then you can paint a new color, similar to the color of the airsoft gun. Again, be careful in spraying or painting so that no amount of paint will enter the gun barrel. For more suggestions on how you can remove or change the orange tip of your airsoft gun, please watch this short YouTube video. Can an Airsoft Gun Break a Car Window?